Each child creates one piece of artwork that you then send to us. From the busy Little Paintbox workshop, we’ll make each unique design into a fabulous high quality greeting card that can be purchased and sent out to friends and family. 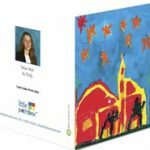 Participating in a Little Paintbox Greetings Card Art Project is an excellent, innovative and extremely effective way of fundraising through school christmas cards and greetings cards. You can turn card making into a fun art project and use it as a way of raising funds for your organisation or a charity of your choice. Creating artwork is engaging and fun for children, and having the artwork reproduced into high quality cards that are both unique and useful helps to provide self-esteem and confidence. 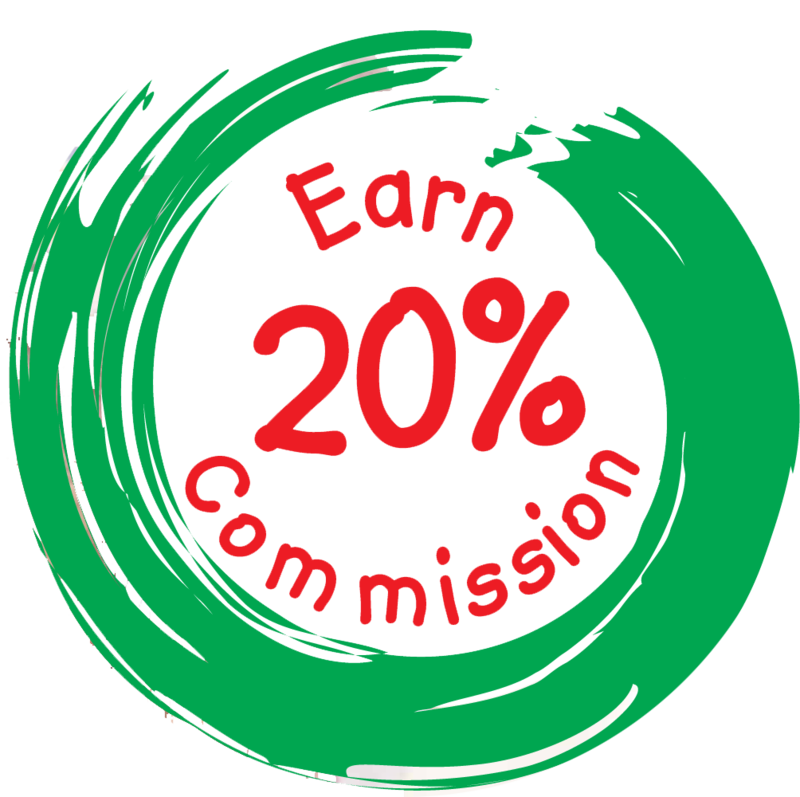 Earn 20% Commission. We guarantee both children and parents will be delighted with the results! Little Paintbox greetings cards are designed in a contemporary square style. The front of the card shows the artwork, and the reverse of the card may include an image of the child (optional), the child’s name, and the title of the artwork printed on the reverse. Artwork is printed on the front of the card The inside is blank so you may hand-write a personal message. We offer the option to print a message on the inside, for which there is an additional charge. Please see Inside Printing or contact us directly for details. The child’s name, photo, and artwork title is printed on the reverse of the card. All amendments are done free of charge including changing the child’s photo on the back. You can have a message of your choice if you order 36 or more cards. As Little Paintbox cards are square in shape, the artwork must be created on plain white A4 paper that has been folded 9cm from the top of the page to create a square that is roughly the same shape as the cards. Write the child’s name, artwork title, and child code (if project run by school or nursery) in the area above the fold, and create the artwork in the area below the fold. You can download a blank template here. Draw a line 9cm from the top of the paper. Fold paper so pencil line is on the inside of the fold. Print the child code, child name, and artwork title in the blank area above the fold.